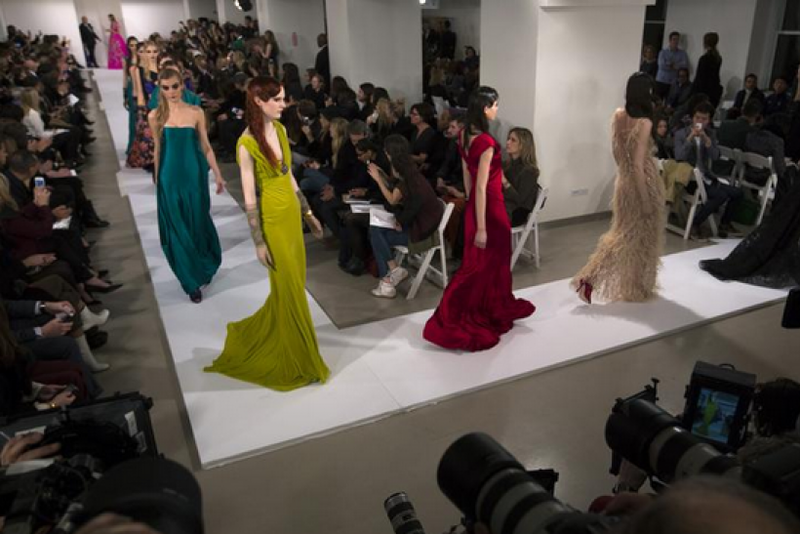 Oscar de la Renta gets by with a little help from his friends, which for this season was John Galliano who assisted with the finishing touches on the Fall 2013 collection before it debuted at New York Fashion Week on Tuesday, though he was nowhere in sight. Galliano, the disgraced former creative director of Dior who was ousted after a anti-semitic rant in Paris went viral, was brought on to de la Renta's team as a temporary employee to the 80-year-old designer leading up to Fashion Week, by request of Vogue Editor-In-Chief, Anna Wintour. According to reviews of the show, as a "designer in residence," Galliano didn't have much to do with the collection other than the cloche hat topping a Dior-style suit nipped in at the waist, pointed out by Suzy Menkes in the New York Times. 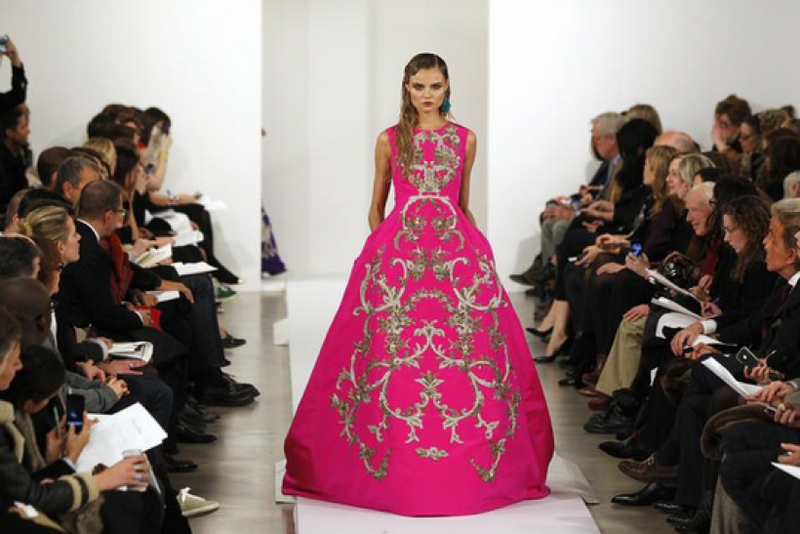 As for the rest, de la Renta relied on pops of bright colors, chartreuse, citrine and shocking pink for Fall 2013, with crystal-encrusted or gold bullion embroidery, paired in most cases with gossamer gloves in red, blue, and black. 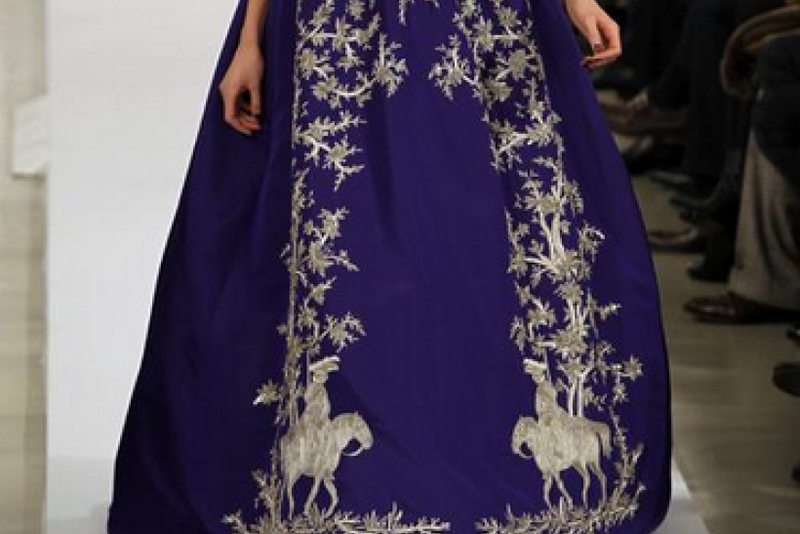 Silhouettes ranged from exaggerated peplums, capes with hoods, draped cocoon shapes and bubble sleeves for both the separates and ball gowns. 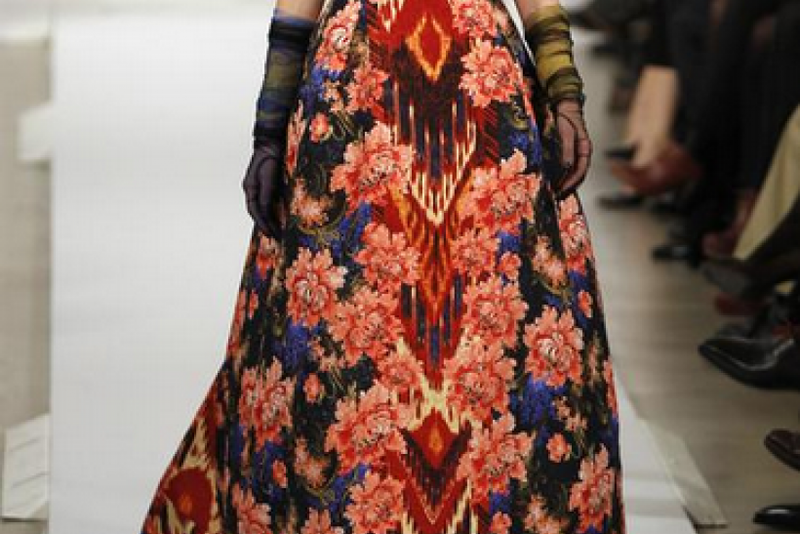 While the collection was very obviously Oscar, Galliano reportedly did, though, have a big hand in the styling, according to Eric Wilson of the New York Times, who reported that Galliano designed the makeup and hair concepts as well as pitched in the styling for the collection. 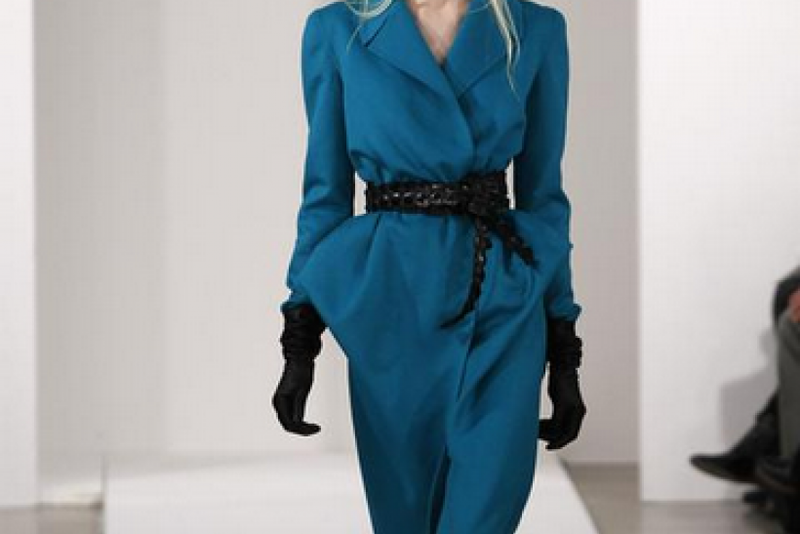 Still, rumors have been swirling that Galliano is slated to take over the de la Renta brand. “I would love for him to stay. Will he? I cannot tell you that today. 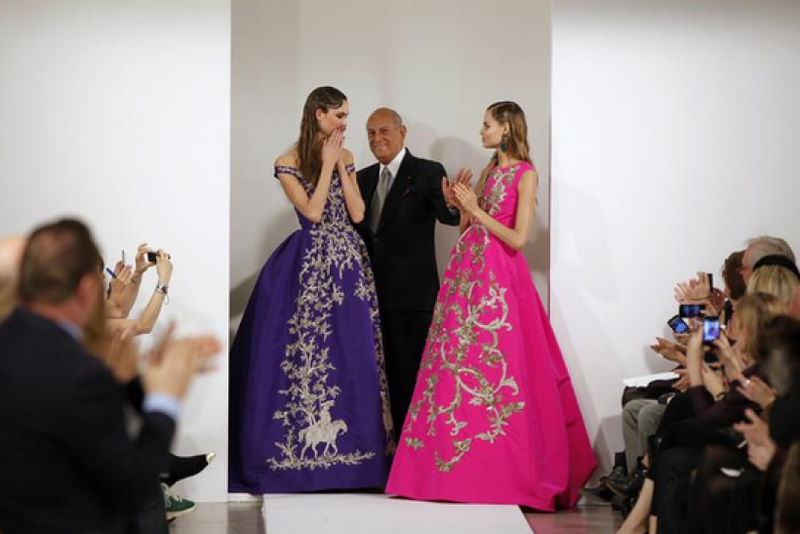 Because we haven’t gone that far in really discussing it," de la Renta told nymag.com. Though this year marks Oscar de la Renta’s 50th anniversary, the designer has yet to accomplish dressing Michelle Obama, but having not dressed the first lady doesn't bother the tastemaker. "At this point in my career, would I like to dress Mrs. Obama? 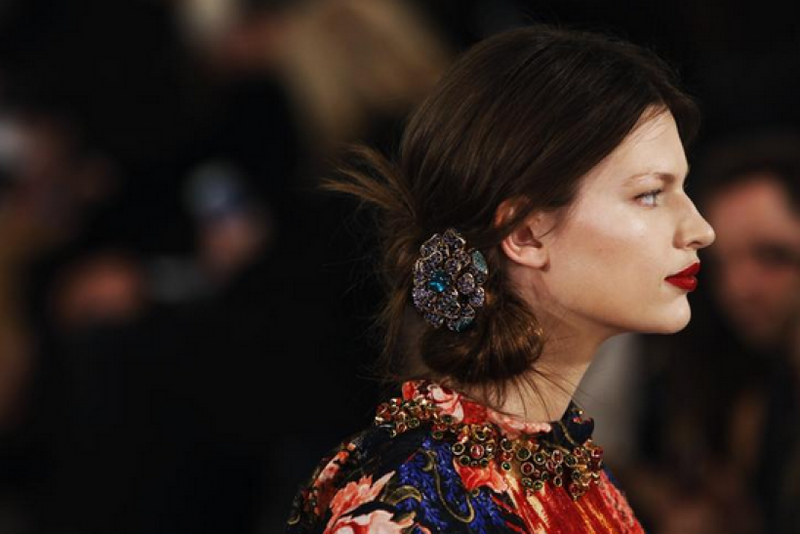 Of course," de la Renta said. "But will it make any changes to my business? Does my customer in Dubai care if I am dressing Mrs. Obama or not? I don't think so." 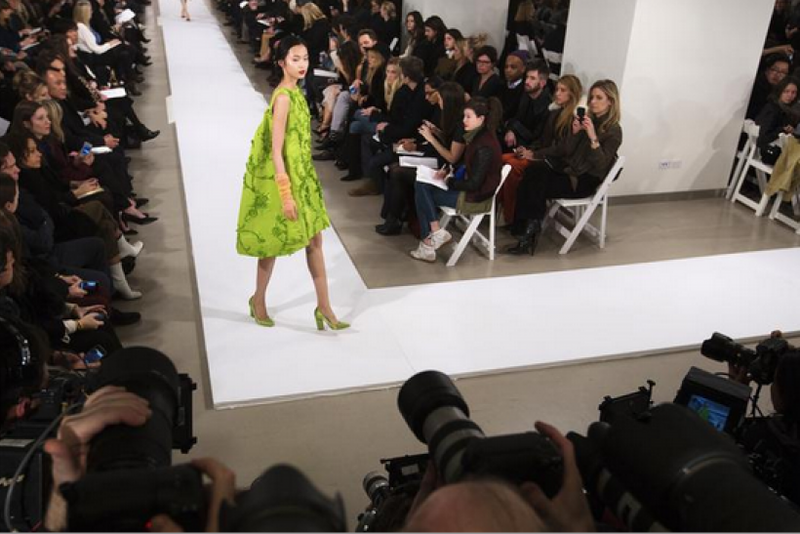 To stay up-to-date with the trends and goings-on of New York Fashion Week, follow me on Twitter, @nadinedeninno, and check out IBTimes' special coverage page for the latest fashion news.